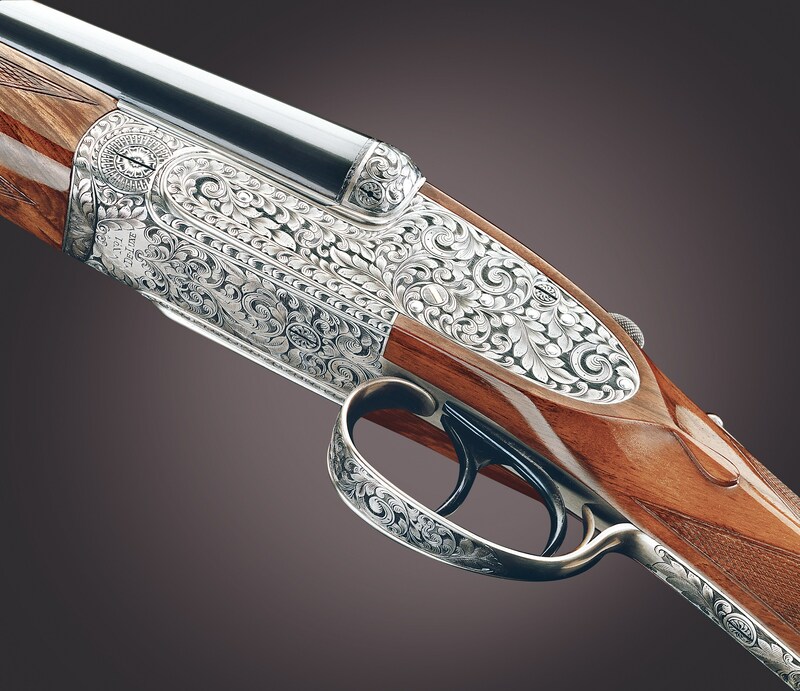 AyA | New England Custom Gun Service, Ltd.
For over 80 years, AyA of Spain has crafted classic shotguns that have now earned a reputation around the globe for elegance, reliability, and quality. So highly are they regarded, in fact, that some models--like the superb No. 2--are among the top selling custom shotguns in England. This speaks volumes about AyA faithfulness to the English tradition of exquisite hand-fitted doubles. AyA shotguns include all the features of a traditional English gun, including chopper lump barrels and hand detachable sidelocks. Only the best quality steel is used in the sidelocks, assuring you of crisp trigger pulls that will endure for thousands of rounds. AyA shotguns are available in 12, 16, 20, 28 and 410 gauge and with a wide range of options. The 12, 16 and 20 having 28" barrels while 28 and 410 gauges have 27" barrels. While each AyA can be built specifically to your specifications, lower manufacturing costs make them available at a very reasonable price. Of course, all AyA shotguns are completely guaranteed (excluding wood) and we here at NECG do all of the warranty work on the AyA’s that we import. As gunsmiths, we look at the things that count in a quality gun. AyA has earned our respect. They will earn yours, too. Split bottom plate allowing easy access to mechanism. English style engraving and finish..
White metal oval for initials. 12, 16, 20, 28 & .410 bore. 28" barrels standard on 12, 16 and 20, 27" barrels standard on 28 and 410 - other barrel lengths to order. Approximate weight 6.8 lbs. (12 bore). Side-by-side hammerless sidelock ejector shotgun. Forged steel action with double underlugs. Hardened steel intercepting safety sears. Double triggers with hinged front trigger. Straight hand, oil finished walnut stock. 28" barrels standard on 12, 16, and 20, 27" barrels standard on 28 and 410 - other barrel lengths to order. Available with colour hardened, old silver or bright finish to action. This model is similar in all aspects to a standard Model 2, except that the action body has been rounded, losing the edges alongside the action bars and the flatness of the sideplates. While you are losing the hand-detaching lever and the teardrops behind the sideplates, you are gaining a gun that sports a graceful, pleasingly streamlined appearance, often preferred by many of our customers. Side-by-side hammerless sidelock ejector shotgun with rounded action body. Holland & Holland style laser engraving. Gold washed internal lock parts. Chopper lump Chrome Nickel (URKO) steel barrels. 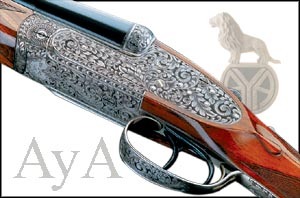 Finest"Rose & Scroll" (Purdey style) hand engraving. 28" barrels - other barrel lengths to order. Holland style hand engraving, as shown. Forged steel action with concealed third bite and side clips.